Subscribe to this list via RSS Blog posts tagged in Northeastern Blvd. 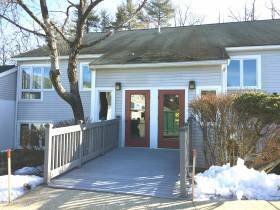 Prolman Realty, Inc. is pleased to announce the lease of 74 Northeastern Boulevard Unit 9 & 10 consisting of 3,600 square feet of office space at the Northbridge Business Center to Recovering Life Services, LLC. According to Mark Prolman and Lisa Ferrari who represented the Lessor, the space will be utilized for counseling and medical services. 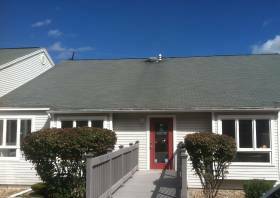 Nashua, NH October 1, 2015: Prolman Realty, Inc. is pleased to announce they have been selected by Robrich Realty, LLC to exclusively market for sale Units 9 and 10 at Northbridge Business Center. According to Mark Prolman, “the unit consists of 4,800 square feet of professional office and engineering space situated off Northeastern Boulevard between exit 4 and 5.” The asking price is $359,000.00 or $75.00 per square foot. Building Name 75-77 Northeastern Blvd. 75-77 Northeastern Boulevard is an 88,266 square foot office, high-tech, distribution property ideally situated between Exit 4 and Exit 5 off the F.E. Everett Turnpike. This property is best suited for a company looking to own a highly visible corporate headquarters, occupy 33,251 square feet and utilize the remaining 51,034 square feet of leased space as cash flow or expansion space in the future. Alternatively, the property is ideal for an investor with 51,034 square feet leased to St. Joseph's Hospital and Hello Direct with 33,251 square feet available for lease in a highly desirable location. Corporate neighbors include FAA, SkillSoft, TYCO, Fastenal, Amphenol, and Harvey Industries.